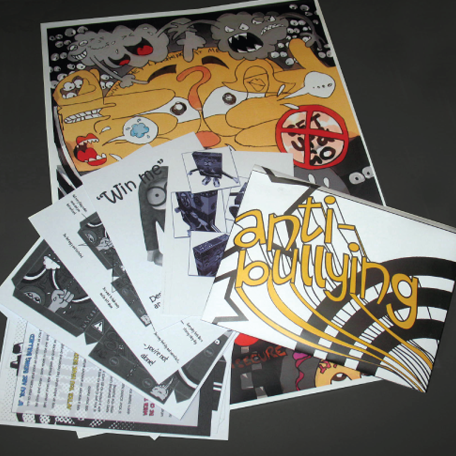 Create an activity pack to promote anti-bullying that children will receive free inside popular childrens magazines and comic books. 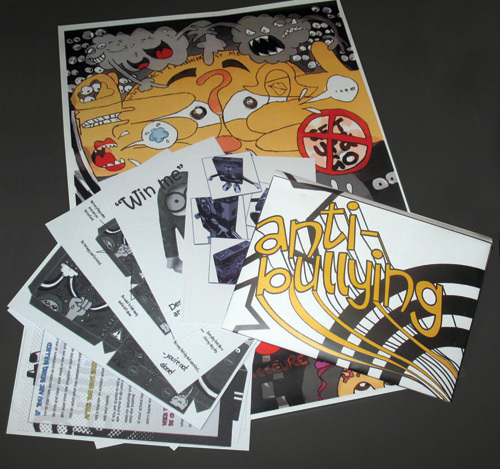 The pack will contain the following; a paper toy character that the child can to make themselves, a blank template of the net so the child can design their own character, an A3 poster with instructions of how to make the toy on the back, an information card with advice about bullying and useful phone numbers and websites, a card promoting the competition for the best designed character, photos of the finished toy and a card explaining the meanings behind the illustrations. 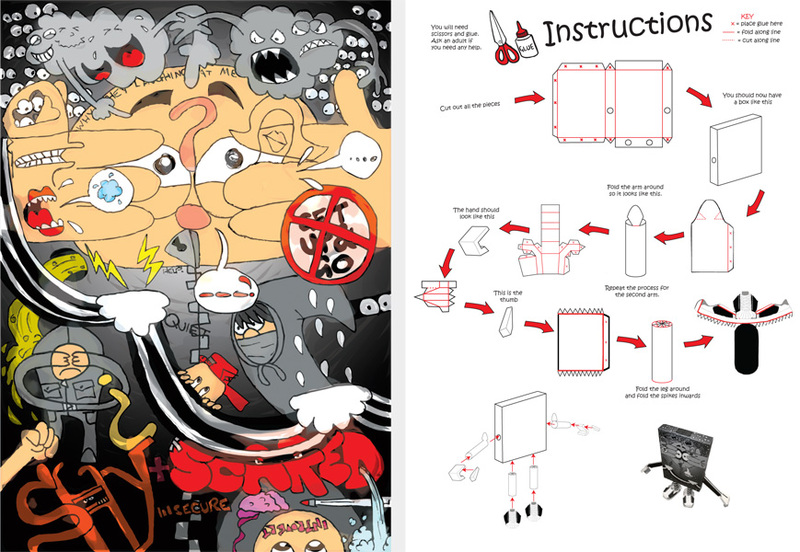 A full colour A3 poster with the illustrations from the paper toy. The illustrations express the feelings and anxieties that a bullied person might feel. 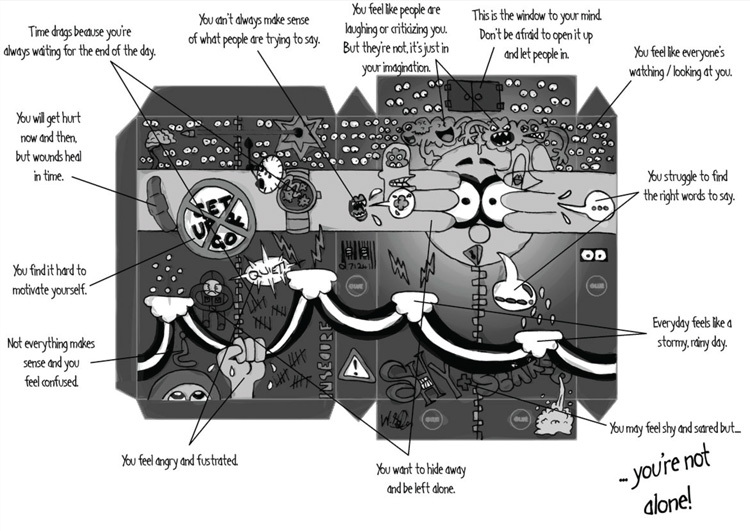 On the back of the poster are instructions of how to put the toy together. The instructions state that the child should ask an adult to help if they struggle putting the model together. This will hopefully break the ice and get the child and adult talking about bullying. A B5 size envelope with hand rendered text to give it a youthful and personal tone. The stars, rainbow and use of the colour orange represent optimism. Polaroid type shots of the finished product that is the paper toy. This will show the child what thier toy should look like. 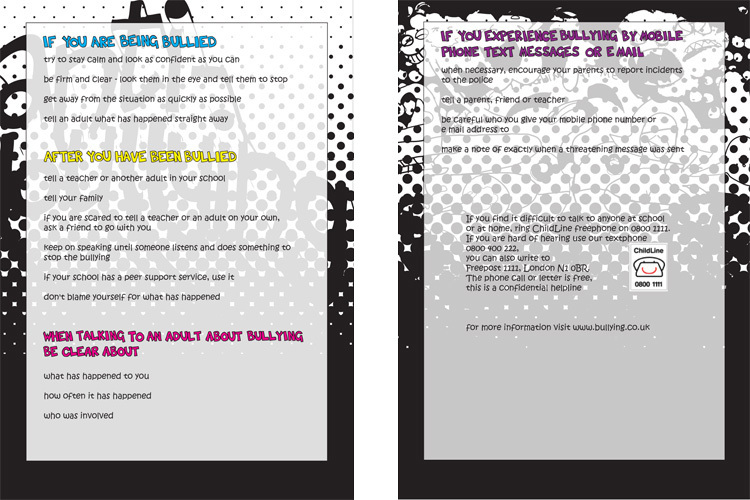 A useful card with helpful advice on how to handle bullies and what to do if you’re being bullied. There’s also the useful contacts; Childline and the website bullying.co.uk. The images in the background are a two tone version of the illustrations from the poster. The headings are hand rendered and give the card a bit of colour. This card speaks to the child in a very personal manner and it discusses a few feelings and emotions that the child might be able to relate to. The main message is “you’re not alone”. Hopefully this will make the child realise that being bulllied is nothing to be ashamed of and will encourage them to speak out if they are being bullied. 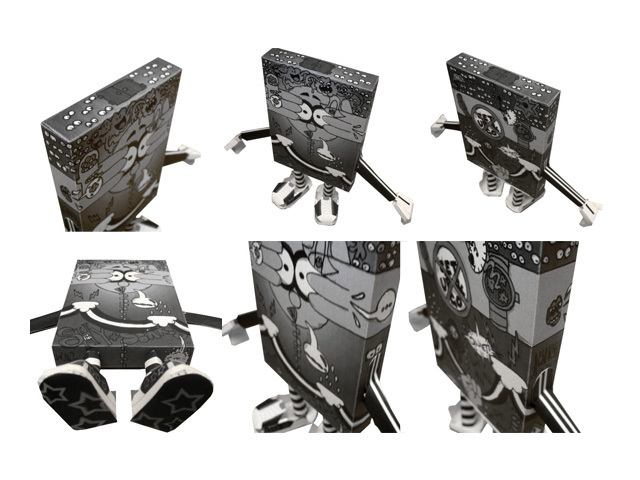 This 3D model is the prize for the competition where the child uses the blank template provided to design and make thier own character. The child will then take photos of the finished design and upload thier photos onto the anti-bullying website where the entries will be judged.